Dreaming with God is about releasing the people of God to their eternal purposes as co-laborers with Christ. He is interested in our desires, and would like for us to partner with Him in the unfolding of world events. The fullness of the Spirit obtained in intimacy is what qualifies us for such a role of influence. The Old Testament fullness of the Spirit is seen in wisdom, and the New Testament in power. Wisdom is covert ministry, and power is overt ministry. When the Church walks in supernatural wisdom (providing solutions to the needs of the world) and walks in power (confronting the infirmities and torments of darkness) we will know what He meant when He said, "Nations will come to your light, and kings to the brightness of your rising!" 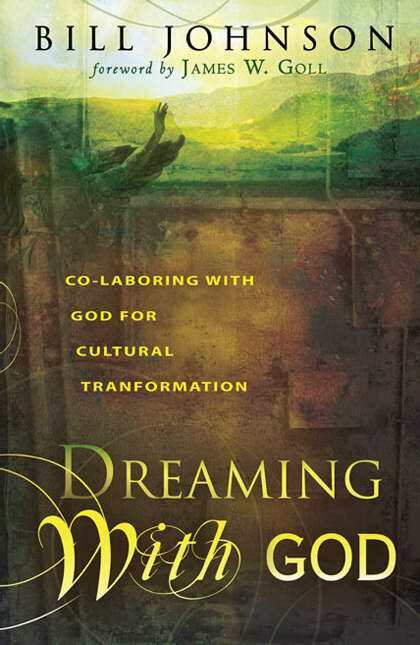 Dreaming With God by Bill Johnson was published by Destiny Image in December 2006 and is our 3371st best seller. The ISBN for Dreaming With God is 9780768423990. Be the first to review Dreaming With God! Got a question? No problem! Just click here to ask us about Dreaming With God.